Hello, everyone, and a very HAPPY NEW YEAR to you all! Welcome to my first in a brand new series called “Old New Borrowed Cool”! I’m so excited to start this year-long monthly adventure with you and hope you find it as exciting and inspiring as it’s proving to be for me! COOL: A calendar-style resolution inspired layout that can hold no pictures or as many as you care to fit in! What a fun way to ring in 2012! I thought quite a bit about what kind of project I was going to bring you to ring in the new year and I just couldn’t get away from the theme of “resolutions.” I’m not usually a resolution kind of gal, but this seemed like a great time to sit down and list some meaningful ones that I want to accomplish in 2012.I might not be a resolution gal but I *am* a list girl! For me a new year means many new beginnings – from purging supplies to new organizing tools to sparkling new calendars! Then it came to me – I’d list my resolutions in a calendar format! I had done something similar to it before and loved the grid design so I knew it would be the perfect way to document my goals for 2012. What developed was a funky, dare I say COOL!, layout that will keep me on focus and track to achieving my goals! So what do you say? Are you ready to give it a try? I challenge you to find something old, new and borrowed and create something cool that you’ll love to start out 2012 with a bang! Try the calendar or grid format. Try a non-photo layout. Try using your favorite colors or a scheme you’ve never tried before. Challenge yourself to play along with me! I can’t wait to see what you create! 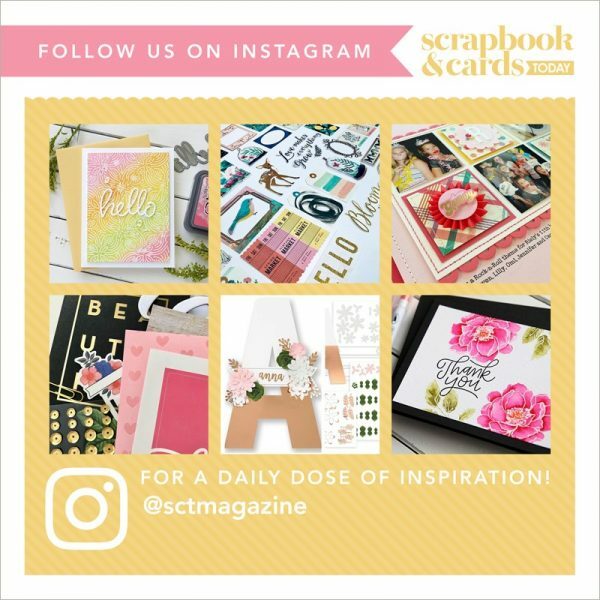 Be sure to send us your “Cool” layouts to ideas@scrapbookandcards.com (specify month) to upload to our “Cool” gallery on the website!